We are open on Easter Monday (April 22), ANZAC Day (April 25) and we are now accepting reservations for Mother’s Day.Please call for seating times and availability. With great coffee, friendly staff and an extensive menu, we hope to see you soon! Madeline’s is the perfect place for a coffee or bite to eat, with views to match. 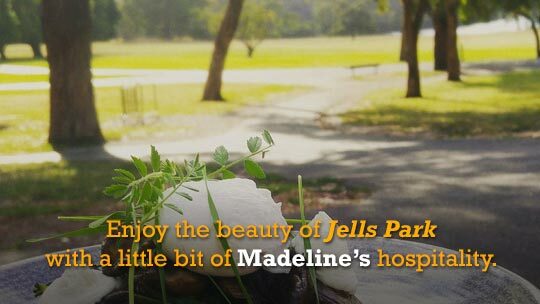 Enjoy the beauty of Jells Park with a little bit of Madeline’s hospitality. 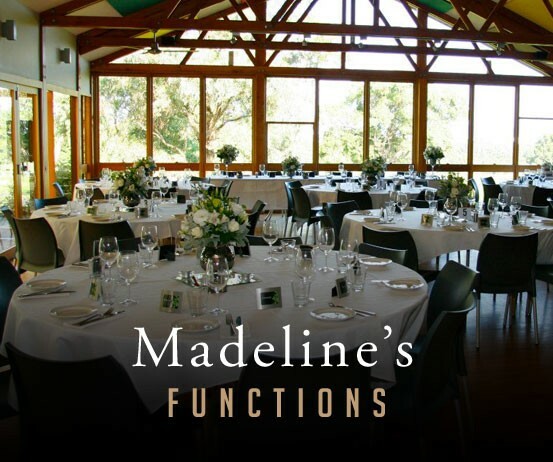 Madeline’s on your way to choosing your perfect picnic location.